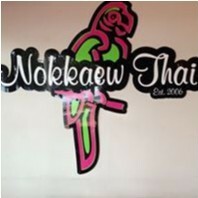 Nokkaew Thai joined our Mission to help provide access to “Clean Water for All by 2030”. This Mission was initiated by the United Nations. A big thank you to Nokkaew Thai’s team and customers for joining this extremely important mission on 24 April 2018. We are very excited to be opening back at Collaroy beach. Come enjoy sunshine and yummy Thai food this summer.